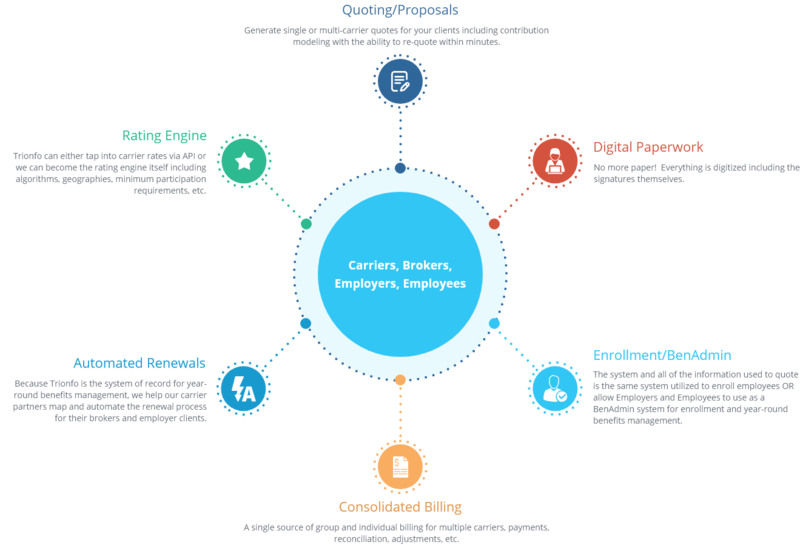 A single source platform tailored for the entire insurance spectrum: Carrier to Broker to Employer to Employee and everyone in between. The process becomes faster, smarter and streamlined. Trionfo’s founders have worked in the insurance industry for over 30 years AND THEN we built our technology based on that experience. We are not a fly-by-night technology company looking to break into the insurance industry. We have been there and done that. Let us show you why our clients choose to partner with us year after year. Trionfo’s goal is to use our industry experience to give our clients a single platform to be the best at what they do and reach their goals. It is as simple as that. Enable. Empower. Trionfo. is what we do.